I was invited by Angie of Love Romances and More to participate in the Next Big Thing Blog Hop—a sort of pyramidal branching hop where one person sends questions to five people, who post their questions to five people, who select another five people and post the following week, and so on and so on, like that old seventies shampoo commercial. I liked the idea of it—for one thing, I like blog hops. For another, it’s fun to see how different people answer the same questions. The best part I think, though, lies in the fact that your commitment is to only five people a week. I’ve found for me personally, if there are over 200 people participating in a weekend hop, I’m lucky if I get to more than the top 20-30 on the list. So yes, I thought this would be great fun! The plan was to answer preset questions about your latest release or your WIP. In this case, my answers are for one and the same! If that sounds strange, it’s because I’m currently working on an expanded version of my sport horse story, Lightning in a Bottle, which is part of the Going for Gold Anthology from MLR Press. So, without further ado, the questions! Hold the Reins, which is an allusion to the fact that not only can there only be one person in charge of where the horse goes, but also to the behind-the-scenes manipulations of Jake’s father. Jake and Rich have found their way back together at the end of Lightning in a Bottle, but being together is never simply a case of Happily Ever After, The End. Relationships are hard work, and relationships that have trust issues are even harder. The two men will have to feel their way into their repaired relationship, all the while dealing with the pressures of Olympic competition and living in the spotlight. Jake will have to decide if he will pursue his tentative relationship with Rich or hang on to all he knows, particularly when that includes the health and well-being of the man that has always been a father figure to him, Jim Banks. There are no easy answers because of his tumultuous relationship with his father, Patrick Stanford, and the lengths Patrick has gone to in order to keep Jake and Rich apart. Oh, that’s an easy one! I recently had to retire my own sport horse from eventing, a very bittersweet decision on my part. When I read the submission prompt for a short story involving Olympic athletes for the M/M anthology, I confess, my first thought was that I bet there would be a lot of submissions about diving and swimming (and why not? SPEEDOS!) but that I’d probably be the only one to sub a story about eventing—one of those sports that only gets 3 minutes of airtime on the main broadcasting channel and you have to have cable and a TiVo (or a very patient boyfriend with these things!) to see any of the rest of it. Well… 10 K became 25 K, and the next thing I know, I’m staring at a story that is too big to tell in the allotted space. I didn’t know what to do! Fortunately the terrific people at MLR Press let me make all kinds of last minute revisions so that an expanded version would make sense, and I’ve been working on it ever since. Slower than I would like, but moving forward just the same. I’ve had both heavy work commitments and some pressing family health issues, so writing has taken a bit of a back seat at the moment. I’m about 2/3 of the way done, though, and I hope to have it completed in short order. This was an incredibly tough question to answer. I don’t have a lot of time to watch television or go to the movies anymore, so I tend to be behind the times on the latest, hottest actors. Also, my characters are a bit older than your average Olympian, as eventing is a sport where people can compete for decades—one of the reasons I love it is because your partner is a horse, and this makes it one of the few sports where men and women compete directly against each other as well. For Rich Evans, I would cast Joshua Jackson (Fringe). It isn’t just about the blue eyes and the boyish good looks—there’s something about his presence and the kinetic energy in his hands that makes him a good fit for Rich. Jake was much harder. I had a strong mental image of what Jake looked like (being kind of partial to that ‘type’) but I was looking for something a little less scruffy than my usual go-to look. I needed someone who had the smoothness of being raised in wealth and the benefit and polish of a prep-school education, while still retaining that bad-boy toughness about him. One of my friends suggested Sebastian Stan (Bucky from Captain America) and though I couldn’t see it at first, the more I looked at images of this actor online, the more I did. He has that ageless quality about him that only gets better with time, and that is definitely Jake! Horse-crazy boys fall in love, are separated by circumstances, and learn to overcome obstacles to find love and trust again. I’m hoping MLR Press will pick up the option, but a lot of that will depend on my ability to meet their deadline. If I can’t, then the book will just have to sit on the shelf for a while until the rights for the novella return to me. That’s okay if that happens–I’ve got plenty of other projects to work on! I hope that I can get this finished on time however, and that the end product is something that pleases everyone. I realized she was right, only I was already committed to the anthology. Fortunately the people at MLR Press have been *very* accommodating! Let’s see… have you ever seen eventing? It’s the triathlon of horse sports, with a dressage phase (Tall boots! Breeches! Gloves! Riding crops!) that combines elegance, precision, and strength to move your horse through a series of elements. From there, you go on to the cross-country phase where you gallop across miles of challenging terrain, leaping unusual and tricky combinations of fences at speed. A lot of horse and rider teams get eliminated there. 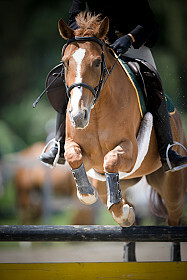 The final element is show jumping, where the fences are bigger, the turns are tighter, and the stakes are higher as the remaining competitors go for the gold. What is there not to love about that? Going for Gold is available now from MLR Press: 8 novellas by your favorite M/M authors featuring Olympians vying for that greatest award of all–love. This entry was posted in Uncategorized and tagged blog hop, cross country, dressage, eventing, Going for Gold, horses, MLR Press, Sarah Madison, stadium jumping, upcoming release, writing by Sarah Madison. Bookmark the permalink. I loved the novella–can’t wait to read the full story! Aundrea Singer recently posted..The Next Big Thing Blog Hop. What’s that? I’m so glad you asked! 🙂 I had help on the choices, but once I saw the pictorial evidence, I knew it was the right call. With a little luck (and if I continue to ignore the housework and all other pressing tasks) I hope to knock out the rough draft in the next month. But that means keeping my head down low and just getting to it too! The internet can be SUCH a distraction at times! I love your post, and your particular take on it, your character and enthusiasm shine through. I’m certainly keen to read this one, as I always loved watching showjumping and events, though I’ve never even been on a horse :). And like you, I need to get my head down and work on my current projects ASAP *sigh*.